VT-SNG, A BOMBARDIER BD-700-1A10 (Marketed as the Bombardier Global Express, and now rebranded as the Global 6000), just flew into Bangalore HAL airport. The aircraft was spotted on the downwind, as it majestically turned right for base to land into VOBG’s Runway 09. This Global 6000 is owned by Sun TV Network Ltd (whose parent is Sun Group, which also owns Spicejet), and is used to transport their honco, Kalanithi Maran. The brand new aircraft was registered VT-SNG (manufacturer serial number 9493) on the 11th of March, 2013. Bombardier describes the Global 6000 as “Speed, Range and Stately Supremacy”. It has a maximum range of 6,000NM (11,112km), and a maximum cruise speed of Mach 0.89 (89% the speed of sound). It can fly at FL510 (51,000ft above mean sea level at an altimeter setting of 1013.25), carrying 8-19 passengers. VT-SNG, however, has been certified with a seating capacity of 16. The aircraft is propelled by two Rolls-Royce Deutschland BR710A2-20 turbofans, each producing upto 65.5kN of thrust (about 6500kg thrust per engine), lending the aircraft a minimum thrust to weight ratio of 1 : 3.47 (at the MTOW of 45,132kg) , which is pretty high. This means the airplane can climb steeper and faster. Maxing most of the raw power is the supercritical wing, swept back 35°, which features winglets for drag reduction. 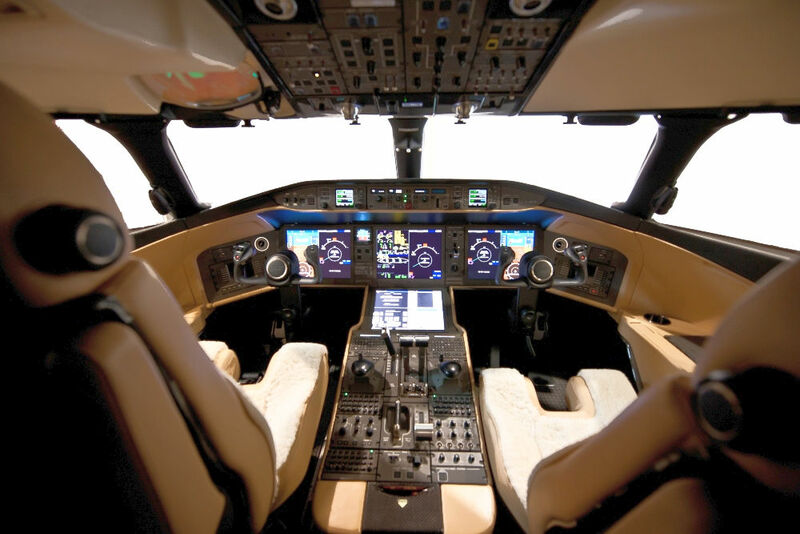 The Flight deck features a Rockwell Collins Pro Line Fusion avionics suite with four 15.1-inch (38.4 cm) Liquid Crystal Display (LCD) screens, and a Head-Up Display System (HUD), 3rd generation Enhanced Vision System (EVS) and Synthetic Vision System (SVS). With more than US$58.5 Million per jet, the maximum payload is 1,710kg, which is equivalent to just 17 commercial airline economy class passengers (Based on 70kg passenger weight + 25kg check in baggage + 7kg cabin baggage). Ofcourse, this is a business jet to flaunt, not an air-bus to make money. i thought to release this news……..
Well I am lucky to fly it….the first Global 6000 in India. Thank you for making me proud. Reblogged this on Spsinghame's Blog.